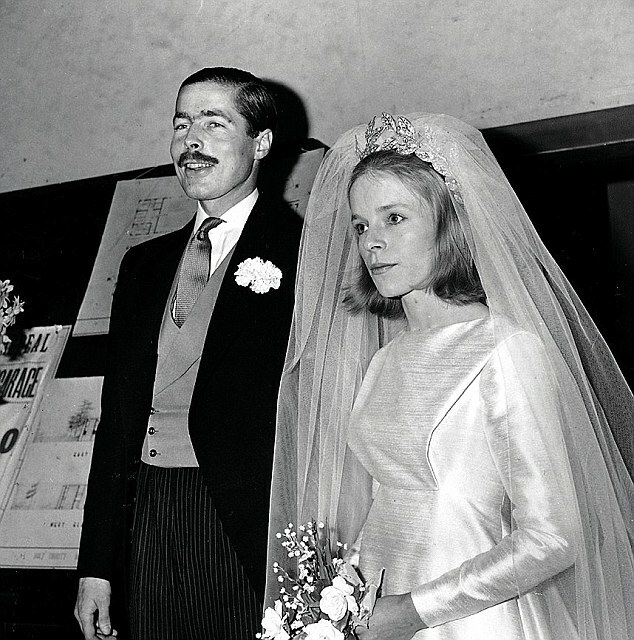 John Bingham, 7th Earl of Lucan, was a dashing figure — he once auditioned to be James Bond. In November 1974 he murdered Sandra Rivett, his children’s nanny, who had begun work for the family less than three months earlier on 26 August, mistaking her for his estranged wife. Lucan, a gambler nicknamed Lucky, had been increasingly angry with his wife and had told several friends at the Clermont Club that he wanted to murder her. Knowing that Thursday was the nanny’s night off, Lucan let himself into the house and removed the light bulb from the kitchen staircase so his victim would not see him. Just before 9pm a woman came down the stairs to make some tea and Lucan struck her over the head with a 60-cm (2-ft) piece of lead piping. Unfortunately, the intended victim was not the Countess of Lucan, but 29-year-old Sandra Rivett who had changed her day off. Lucan fled to the Sussex home of his friends, Ian and Susan Maxwell-Scott, and was given a drink by Mrs Maxwell-Scott. Lucan rang his mother and then wrote two letters to his brother-in-law, Bill Shand Kydd. At 1am, after another Scotch and water, he left and disappeared. Lucan’s car was discovered in Norman Road, Newhaven two days later. Of the missing earl, there was no trace. So began the biggest manhunt in British history, spanning several continents. In June 1975 the inquest jury named Lucan as Sandra Rivett’s killer. In 2005 the respected author John Pearson propounded the theory that Lucan had been smuggled out of the country to Switzerland. The shadowy figure that had helped Lucan to escape became fearful that the earl would return to England and begin a custody battle for his children. If this happened several members of Lucan’s social circle could be implicated in the events of 7 November and their aftermath. With no other choice, Lucan was murdered and his corpse buried in Switzerland. In January 1985 a second Lucan nanny was killed. Christabel Martin began working for the Lucans in January 1973 and returned after Sandra Rivett’s murder. In October 1985 her husband, Nicholas Boyce, was convicted of her manslaughter after the jury heard that he had strangled and then dismembered her, before roasting and boiling her corpse which he then dumped in more than 100 plastic bags around London in skips and dumps. He had encased her skull in concrete and, while out walking with their 3-year old son Boyce, threw it over Hungerford Bridge.